From Sesame Street's - My First Series! Potty training can be fun! 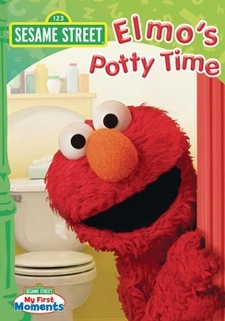 Create a positive potty time experience for your child with favorite characters like Elmo, Baby Bear, Grover, and other Sesame Street friends with ELMO"S POTTY TIME! This amusing and song-filled DVD teaches children that everyone - mothers, fathers, sisters, brothers, friends, and even monsters - has to learn how to use the potty. Your child will learn that accidents are okay and that it takes time and practice before he can use the potty on his own. So dance, sing, and laugh as you and your child learn confidence-building skilled and helpful healthy habits that will last a lifetime.